Have you ever thought about re-using baby wipes? When Lara was first born, I did. Given that I had chosen to use reusable nappies, it seemed sensible to use reusable baby wipes too. When she was just a few weeks old, once I thought I was on top of things, I did try using a few cut up pieces from an old bed sheet as baby wipes but I wasn't impressed. I found that they didn't clean well and that it was hard to shift any solids from them before I put them into the nappy bucket. At the time, I did look at branded reusable baby wipes but they seemed like a big expense and I wasn't sure that they'd be any more effective than my hand-made attempts. And so, I reverted to disposable baby wipes. You will know from my Baby Wipe Index that I tend to opt for biodegradable wipes where possible but the cost still adds up and the amount of waste we generate is phenomenal - it seems a shame to be adding it. A few weeks ago I blogged about how I had been converted to toddler wipes and I got a bit of friendly criticism on twitter about how this went against my green credentials. I promised to try re-using the toddler wipes that we use on Lara's face and hands after a meal. 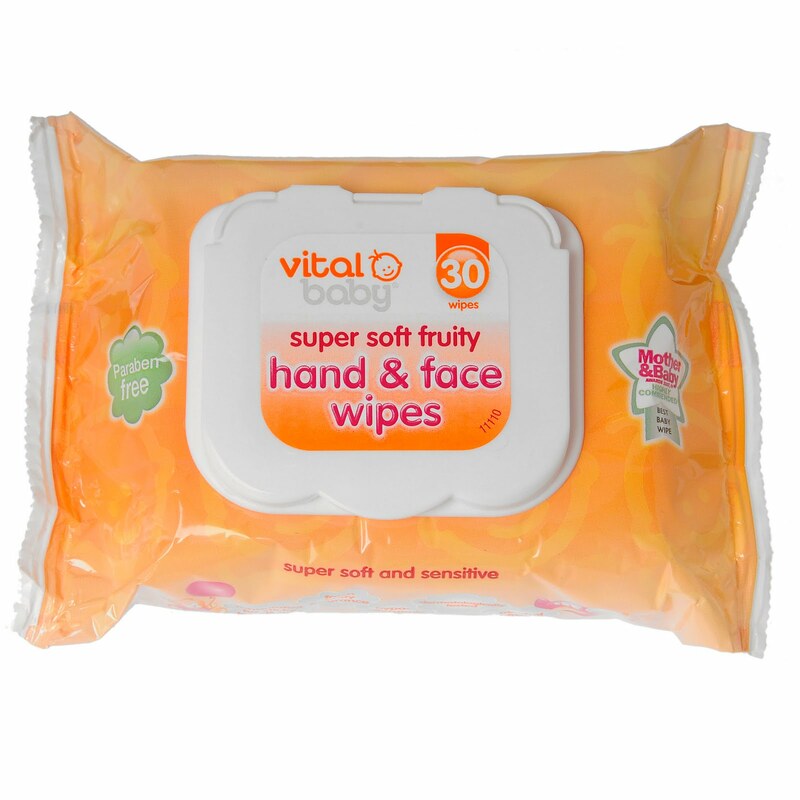 Since writing that blog post back in October, I have used only 1 pack of the Vital baby face and hand wipes. Each time we finish a meal, I clean Lara up (using between 1 and 5 wipes) and then place the used baby wipes in a little pot on my window ledge. When I next come to do a white wash, I put the used wipes in to the washing machine. I've tried this with some of the other baby wipes that I've had around the house and found that 'most' of the wipes just about survive the wash but that the Vital baby ones come out as good as new. I can put the Vital baby wipes through the wash umpteen times without worry of them disintegrating. After they are clean and dry, I put the wipes into a sealed tupperware container with a little bit of calendula oil and a sprinkle of water. When I first started, I also added one or two drops of lavender and tea tree oil but I found I couldn't get a small enough amount evenly distributed over the wipes and the ones which ended up with all of the oil on irritated Lara's skin. 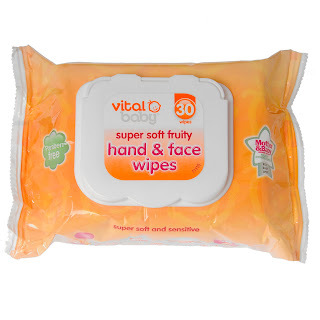 I have found that with just water and calendula oil the wipes smell lovely and are NEARLY but not quite as effective as they were when they first came out of the packet. I'm really happy as I am saving money and reducing my waste. I'm still not brave enough to give it another go with the nappy change wipes though!